In October 2018, the Office for the High Commissioner on Human Rights’ Special Rapporteur on Violence against Women and Girls presented a report to the UN General Assembly recognizing violence against women in politics (VAWP) as a human rights violation and calling upon all UN member states to take action. In less than a decade, this issue went from an unnamed and unnoticed fact-of-life to an internationally recognized threat to democracy and a violation of human rights. What is “VAWP” and why is it so significant? Political violence during elections and democratic processes is a common occurrence in many countries, especially states undergoing regime transitions. Likewise, the global and pervasive presence of gender-based violence (GBV) is well established. VAWP exists at the crossroads of political violence and GBV, targeting women who participate in public or political life, either specifically because they are women, or in distinctly gendered ways. Sadly, there is no shortage of examples and no boundaries — from Zimbabwean women experiencing genital mutilation in retribution for engaging in politics, to women legislators across Western democracies denouncing sexual harassment within the halls of their parliaments, to the bombing of a busload of female election workers in Afghanistan. VAWP is not only a manifestation of inequality or a harm against an individual. It is a mechanism that formally institutionalizes women’s subordinate position in society by coercively excluding them from state governance. Just as VAWP terrorizes and degrades its individual victims, it undermines democracy by enforcing patriarchal control of democratic institutions and impedes the economic growth potential associated with greater women’s political participation. VAWP is the ultimate expression of the patriarchy and until it is eradicated, democracy’s promise remains unfulfilled. VAWP occurs in multiple locations, including private and domestic spaces, and online. 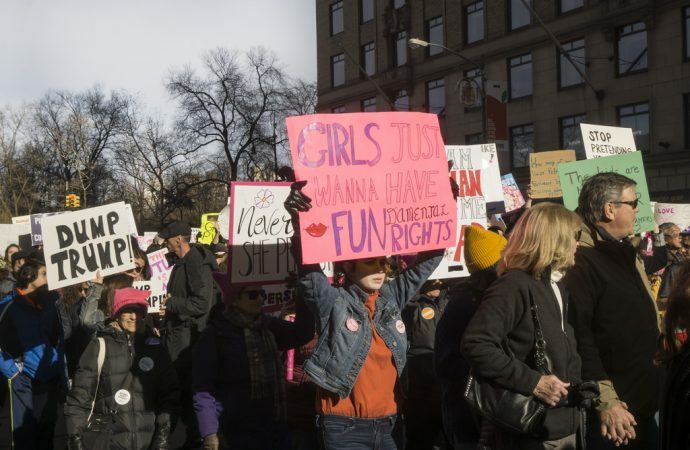 It is often perpetrated by someone known to the victim — indeed, in many cases we have encountered, women experience violence at the hands of other elected officials as well as by their intimate partners because of their political or public engagement. Women overwhelmingly experience psychological and sexual forms of political violence, compared to men who are more often targeted by physical harm. VAWP has been documented in all parts of the world, regardless of regime-type or socioeconomic status, although it takes different forms in different places. Emerging statistical research suggests a very high prevalence. One recent study of 45 countries found that over 85% of women parliamentarians had suffered psychological violence, while 58% had been attacked online. Our research at IFES finds that in some countries, political women are targeted with online threats, degrading attacks, and other forms of digital harassment at up to three times the rate of their male counterparts. These attacks largely reflect anger with a woman’s decision to run for office or otherwise engage in public affairs because of the break with traditional gender roles, and the content of online vitriol — from Zimbabwe to Sri Lanka to Ukraine to the USA — is riddled with sexual threats, manipulated images and video, and threats of physical harm to the woman herself or to her children and partner. We also know that VAWP has an intersectional dimension and that women who also identify with marginalized religious, ethnic, or racial groups have a distinct experience. So long as we fail to recognize violence against women in politics when it occurs and to prosecute its perpetrators, permissive norms and attitudes will remain. The path to ending VAWP has turned into a highway over the decade since the issue of VAWP began to be recognized as a distinct threat to democracy and human rights. The SRVAW’s report in October 2018 unified the vision, action, and research of many global activists and researchers, and provided direction and momentum. Responses to mitigating and finally ending VAWP are manifold and include education, awareness, improved data, personal security, law enforcement training, and monitoring. One response in particular is of vital importance, no less because it is reflective of a deep and abiding inequality that crosscuts global democracies: the issue of ending impunity for VAWP. With only a handful of exceptions in Latin America, VAWP is not explicitly addressed in national legal frameworks. However, most frameworks do address the most egregious manifestations of VAWP, including physical and sexual violence and many forms of harassment and discrimination. Yet laws protecting victims of VAWP and punishing its perpetrators are systematically overlooked and unenforced worldwide. More challenging still, legal frameworks are often murky or absent for the types of violence women most frequently experience in politics, including online and many forms of psychological violence. So long as we fail to recognize VAWP when it occurs and to prosecute its perpetrators, permissive norms and attitudes will remain. This is a fundamental issue because it goes to the heart of how we judge the quality of democracy itself. An electoral double standard operates in democratization processes today. In practice, some laws simply count more than others when it comes to determining how democratic a democracy is, regardless of the hierarchy of law. The trouble is, however, the laws that end up in the second-tier are often those designed to defend women’s participation and security in the course of the exercise of their civil and political rights. Recently, Kenya and Haiti, respectively, have annulled national elections and undergone upheaval over electoral irregularities. Yet in both cases, blatant violations of constitutional law were not the issue behind the turmoil — because those violations pertained to the protection of women’s space in state institutions. Understanding VAWP provides a vehicle that compels us to re-evaluate the fundamentals of how we define and defend democracy. There can be no gender-exceptions to the hierarchy of law. Electoral integrity does not exist where the rule of law is not applied to protect and defend all citizens equally. Democratization remains incomplete where half the population is subject to discrimination and political violence, in all its forms. Until violence against women in politics is systematically addressed, many electoral processes remain at risk of reproducing the patriarchal structures that exclude and silence women’s voices. Adapting a feminist approach to democracy and democracy assistance is vital to overcoming this fundamental human rights challenge. Dr. Gabrielle Bardall is the Gender Advisor at the International Foundation for Electoral Systems and Research Fellow at the Centre for International Policy Studies, University of Ottawa. Bardall was an American Political Science Association Congressional Fellow (2016) and a Pierre Elliott Trudeau Foundation doctoral scholar (2012). This article was first published on 5 December 2018 by 16 Days Blogathon.